There is a theory that Siamese cats originated in Egypt and entered Siam via trade routes during the reign of Cleopatra. The people of Siam called their cat, "Wichien maat" which translates into "moon diamond." Europeans first discovered these beautiful cats in Siam during the 1800's and renamed them "Siamese." One legend tells the story of a stolen goblet from a Buddhist temple. Two cats were sent to find it. Upon finding the valuable goblet, one cat returned to the priests to tell them and the other cat remained behind, to guard it. She wrapped the end of her tail around the goblet to make sure it didn't go missing again and that is how she got her kink. The other legend has two versions: One is about a Siamese princess was bathing and forgot to take her rings off. 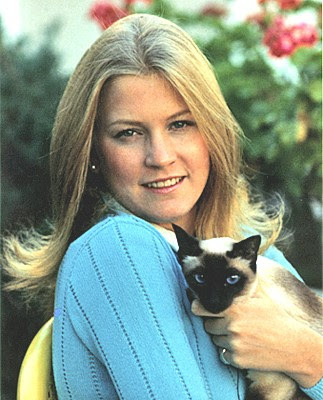 Her cat kinked it's tail, offering it for the princess to place her rings upon. The other version says the princess put her rings on a smooth tail but they slipped off into the water and were lost. In the future, the princess tied the cat's tail in a knot to make sure rings were not lost again, thus creating the kink. 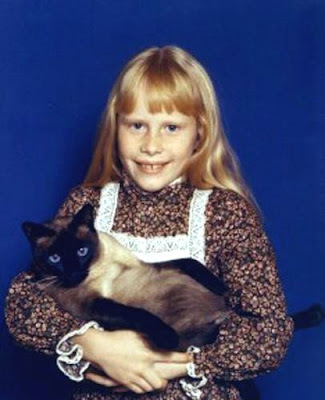 Once exported to Europe and the USA, breeding changed the appearance of Siamese cats. There is the "traditional" or "old world" look as mentioned above and there is the "modern" version that is now the standard for European and American cat shows and competitions. This newer look is a long, thin body with a short, flat coat, and wedge-shaped head with chiseled features. Both have the blue eyes. There are breeders who strive to preserve both versions. 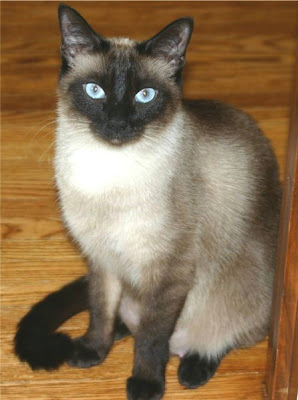 A mutated enzyme, involved in melanin/color production is the reason for the Siamese cat's bi-color appearance. It does not work at body temperature which explains the pale torso. Because the ears, legs, face and tail are a little bit cooler, their color is expressed. Siamese cats that live in cold climates tend to be darker colored than those that live closer to the equator. These darker/colored areas are called "points." At first Siamese cats were preferred to have "seal point" coloring, which is a very pale body with very dark brown points. Occasionally other variations of color occurred but these cats were removed from the breeding effort. That has since changed and now different colors are just as valuable. Chocolate points have a creamy body with brown points; blue points have a white body with gray-blue points; and lilac points have a white body with pinkish gray points. Siamese cats have become quite important to the science of breeding. They have contributed to the creation and maintenance of several other breeds - Balinese, Burmese, Himalayan, Javanese, Ocicat, Oriental Shorthair and Longhair, Snowshoe, Tonkinese and Thai Cat. Without the Siamese cat, none of these other breeds would exist. Today's typical Siamese cat can weigh anywhere from 8 to 15 pounds. If kept indoors and properly cared for, the Siamese cat life expectancy is into the early 20's. They are the perfect companion cat - they love to be with their owners, adore playing and interaction (they even play fetch! ), and enjoy conversations. Siamese cats are highly intelligent and curious. They are the most popular shorthaired cat and the third most popular of all breeds in Europe and the USA. Siamese cat care is simple. They are very low maintenance. Only bathe them if they get into something. Otherwise, they can take care of themselves. Brush only sparingly with a rubbery brush or wipe down with a slightly damp wash cloth to remove loose hairs. This is probably only necessary in the spring. Keep their ears and eyes clean as needed. Siamese kitten adoption is best done between 12 and 16 weeks after they've received their first round of vaccinations and are weaned. The transition to a new home is easier if they are closer to 16 weeks old. 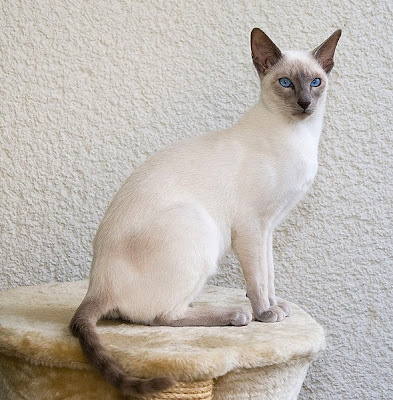 If you are looking for Siamese cats for sale, make sure you are buying from a reputable, humane breeder. Inspect the parent cats and their living quarters. Make sure they have a good quality of life and the mom isn't spending her life constantly pregnant and confined in a cage. 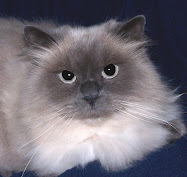 There are also many rescues that specialize in cats and Siamese cats. We had 2 Siamese growing up and they were the best ever. I am now following you so I won't miss anything. I can't believe I wasn't following already. Welcome aboard, Shane. I've never had a Siamese. The closest I've come is Himalayans. Love the post. Very interesting and entertaining read. I don't know a lot about cats, I just love them. So it is great for me to learn so much about a breed that seems so rare. LLnL- thanks for reading. I am learning so much by the researching and writing for this blog. It's very enjoyable. Interesting blog. 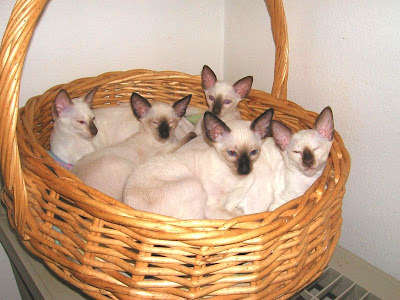 I like the photos of the five lovely kittens in the basket. B&Q and Patrice - thanks for the visit and comments. Some breeds are just so interesting looking!